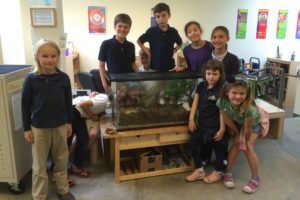 In this project, members learned about different types of frogs, frog anatomy and how to care for them. 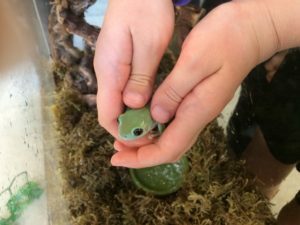 They raised 2 White’s Tree Frogs and named them Kiwi and Lime. Unfortunately, one of the frogs developed a prolapse and had to be euthanized. 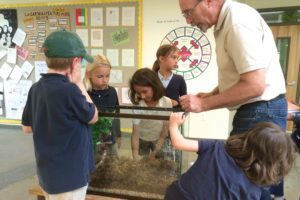 The other frog now lives in the middle school science teacher’s classroom at EBI.